When Scottie’s Italian teacher–a teenager with secrets of his own–disappears, her search for him leads her to discover other, darker truths about herself, her husband and her country. Michael’s dedication to saving the world from communism crumbles as he begins to see that he is a pawn in a much different game. Driven apart by lies, Michael and Scottie must find their way through a maze of history, memory, hate, and love to a new kind of complicated truth. 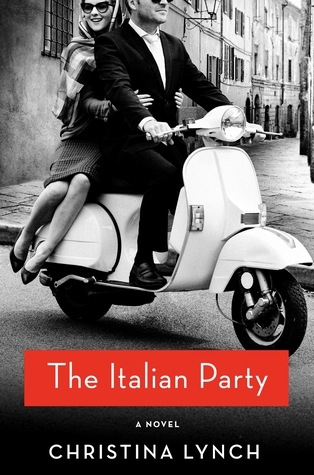 Half glamorous fun, half an examination of America’s role in the world, and filled with sun-dappled pasta lunches, prosecco, charming spies and horse racing, The Italian Party is a smart pleasure. How would you feel if you were newlywed in the 1950s and having to move to a foreign country, more specifically, Italy? That is how the Italian Party begins. You don’t know much about Michael and Scottie at first, but you get a sense that they are both not quite who they make themselves to be. Michael is a first-generation Italian-American, who moves to his family’s homeland on the pretense that he works for Ford. Scottie is the cute all-American blonde who has a secret of her own. On the surface, they look like the perfect couple, but when Scottie’s Italian teacher goes missing we embark on a series of events that take place in the 50s, in the middle of the Cold War, and the fight against communism. This book was not quite what I was expecting. Just like Lynch’s characters in this book, the novel gives you an erroneous idea that this is another beautiful love story set against a beautiful backdrop of romantic Italy in the 1950s. As you get more and more involved in the book, you realize that nothing about this book is what it seems to be on the surface. I really enjoyed being transported to this beautiful, and rather, innocent time. I loved all the descriptions of Italy, the Italian way of life, and all the wonderful food. This was a great read and a little history refresher for me. I highly recommend it. Since Faye met her gorgeous Aussie boyfriend Dan, they’ve traveled all over the world to meet in amazing, crazy and romantic locations. They’ve eaten gateaux in a chateau, chocolate torte in a moonlit port, and even had stöllen kisses in a sparkling Christmas market. Neither of them wanted to settle down… until now. When Dan asks Faye to marry him and to move to Australia it throws a real spanner in the works. Faye’s daughter Emma needs her here, so moving to the other side of the world – even for a hunk like Dan – simply isn’t an option. Is it? Love, Lies, and Wedding Cake is a sequel to Love, Lies, and Lemon Cake, which I haven’t read, but also didn’t feel it was necessary in order to understand this story. The book starts with Faye and her hunk Australian boyfriend Dan enjoying themselves on a beautiful beach. Faye is a 46-year-old divorced grandma and Dan is a carefree, single guy in his 30’s. 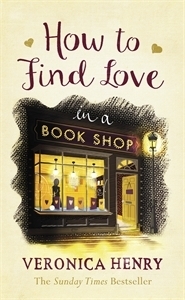 Life seems absolutely perfect to this middle-age grandma and her wonderful boyfriend until tragedy hits home and Dan has to move back to Australia leaving Faye all alone and wondering if their relationship can endure the long-distance. I really enjoyed Sue Watson’s writing. I’m not sure I would call it hilariously funny, but I found myself laughing out loud several times. I loved Faye and her attitude towards life. The characters were well developed and this was an overall easy read. The only thing I didn’t care for was how Dan and Faye ended up. I’m not sure I would have been as forgiving, but Watson did a good job exploring that drama. This is a delightful romantic comedy, and I’m looking forward to reading more books from this author. I would like to thank Bookouture and NetGalley for providing me with a copy of this book in exchange for my honest review. Happy Mother’s day to all the moms out there! Thankful for another busy week and great books read. I’m late on some of my reviews, but hoping to be able to catch up really soon. When Violet moves to Swallow Beach, she inherits a small Victorian pier in with an empty arcade perched on the end of it and falls in love immediately. She wants nothing more than to rejuvenate it and make it grand again – When she meets hunky Calvin, inspiration strikes. What if she turned the arcade into an adult-themed arcade full of artisan shops? A Summer Scandal is a delightful romance. I loved Violet. She’s this super sassy character who inherits her grandfather’s pier and apartment in a seaside town in England. Violet soon moves to the apartment and gets a chance to know more about her grandmother and her secrets. She soon meets Calvin and a romance between the two begins to grow. This was a very light read, and I really enjoyed reading it by the pool on a nice warm day in May. This book is much more than just a simple romance. This is a cute and funny chic-lit that will certainly please fans of the genre. A young editor at a Los Angeles art museum finds herself pulled into the disturbing and dangerous world of a famous artist who goes missing on the opening night of her exhibition. Maggie Richter is a frustrated journalist who works as an editor for the prestigious Rocque Museum. The museum is in severe financial problems, so part of Maggie’s job is to guarantee that Kim Lord’s new exhibition Still Lives is a success. Kim Lord is an avant-garde, feminist, artist with a ground-breaking and controversial exhibition, Still Lives, which depicts herself as famous murdered women. On the day of her much anticipation exhibition, Lord goes missing and when Maggie’s ex-boyfriend Greg becomes the main suspect, Maggie decides to start her own investigation. Everyone seems to be giving this book at least 4 stars, but in reality just like art is subjective so are books. I really, and I mean, really struggled with this book at least until 60% of the story. It’s not that it is a badly written book, it was just boring and slow. The other half of the book gets a bit better, but the ending did not wow me, and by the time I was done with the book I was tired of reading it. I’d like to thank Edelweiss for providing me a copy of this book in exchange for my honest opinion. After Nightland’s vicious attack on the domes, the safety and perfection of the world within the glass has been contaminated. Desperate to rebuild, outsiders are allowed into the domes to help, breaking the cardinal rule: outsiders and Domers must always be separated. But the city is in shambles, crumbling into chaos without the Vampers of Nightland to keep order, and one name is carried on the wind: Nola. Clinging to Jeremy, Nola struggles to find a way to exist in the domes, turning her back on all she learned in the city. But when one of the outsiders brings the dark secrets of the domes to light, the line between survival and murder blurs against the specter of the dying world. Can Nola follow the dark path laid out by the Domes? Will the dangers of the night become her new sanctuary? 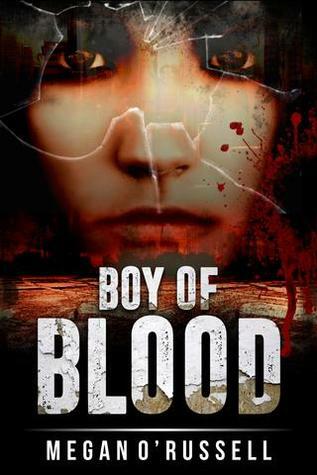 Boy of Blood starts where book one, Girl of Glass, left off. This is not a standalone story. You do need to read the first book in the series to truly appreciate this installment. The book starts with Nola waking up after the attack on the domes, a perfect world inside glass walls created for chosen humans. The other half of the population is relegated to living on the outside of the dome to suffer and die. In this dystopian sequel, we follow Nola as she tries to move on from the attacks on the domes and the heartbreak from Kieran’s betrayal. This book really takes the time to explain and develop Nola’s character and her relationship with Jeremy. I didn’t see this book as just another dystopian book. I’m actually tired of reading most of the dystopian YA novels out there because many of those books are so similar. What I liked about Boy of Blood is that this story mixes a little romance, a little paranormal fantasy with vampires and werewolves, and it all works really well. This is a fast-paced book with a cliffhanger ending that leaves you wanting more. I highly recommend it. I would like to thank the author and Fiery Seas Publishing for providing me with a copy of this book in exchange for my honest review. Megan O’Russell is the author of the young adult fantasy series The Tethering, and Nuttycracker Sweet, a Christmas novella. Megan’s short stories can also be found in several anthologies, including Athena’s Daughters 2, featuring women in speculative fiction. Megan is a professional performer who has spent time on stages across the country and is the lyrist for Second Chances: The Thrift Shop Musical, which received its world premiere in 2015. When not on stage or behind a computer, Megan can usually be found playing her ukulele or climbing a mountain with her fantastic husband. When her best hope of saving her storm-damaged library is found murdered, senior librarian Cleo Watkins hits the road in her bookmobile in search of justice. Septuagenarian librarian Cleo Watkins won’t be shushed when an upstart young mayor threatens to permanently shelve her tiny town’s storm-damaged library. She takes to her bookmobile, Words on Wheels, to collect allies and rally library support throughout Catalpa Springs, Georgia. However, Cleo soon rolls into trouble. A major benefactor known for his eccentric DIY projects requests all available books on getting away with murder. He’s no Georgia peach, and Cleo wonders if she should worry about his plans. She knows she should when she discovers him bludgeoned and evidence points to her best friend, Mary-Rose Garland. 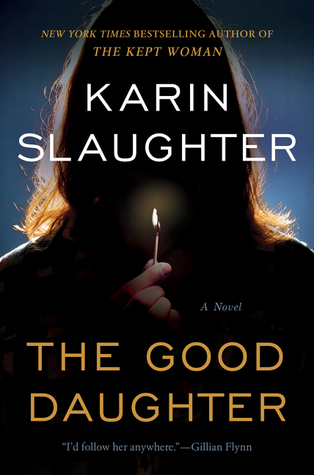 Better Off Read is the first book in the Bookmobile Mystery series. The main character, Cleo Watkins is a librarian who also runs a bookmobile, words on wheels, in the city of Catalpa Springs, Georgia. Cleo is desperately trying to fix the damaged library and prevent the young mayor, Jeb Day, from closing it down. Cleo soon comes across the body of an old patron, Buford Krandall, and evidence seems to point to her friend Mary-Rose, so Cleo decides to solve the murder on her own and clear the name of her best friend. Ok, so this book was the classic example of judging a book by its cover. I mean, isn’t this cover super cute? I loved everything about it–a cute cat, a cute dog, a bookmobile, all the elements for a great cozy mystery. Unfortunately, this book was quite disappointing to me. The premise is great, a librarian fighting to keep the city’s public library alive, a murder needing to be solved, a small town setting, Southern cooking, you name it. The problem with the story is that although the premise was great, the characters were very unrealistic and poorly developed. Cleo, the main character, is supposed to be this seventy-year-old lady who really seemed more like someone in their forties or fifties. It is not to say that a person in their seventies can’t be as active and energetic as Cleo, but it just didn’t feel that way when you were reading the book. The story as a whole did not hold my interest and I found myself putting this book down way too many times. I really wanted to love this book, but it just didn’t do it for me. Since this is book one in the series, I believe there is still hope for the other books to come. I would like to thank Crooked Lane Books and NetGalley for providing me with a copy of this book in exchange for my honest review.